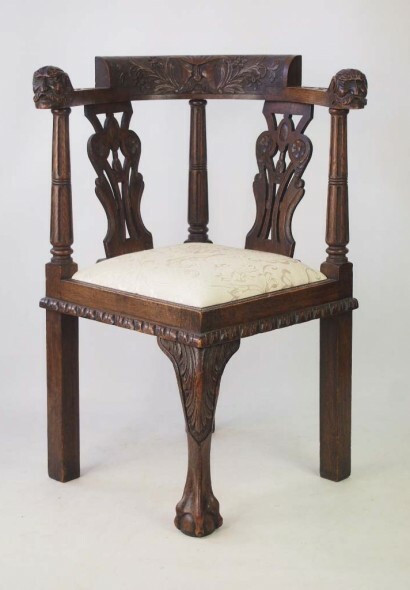 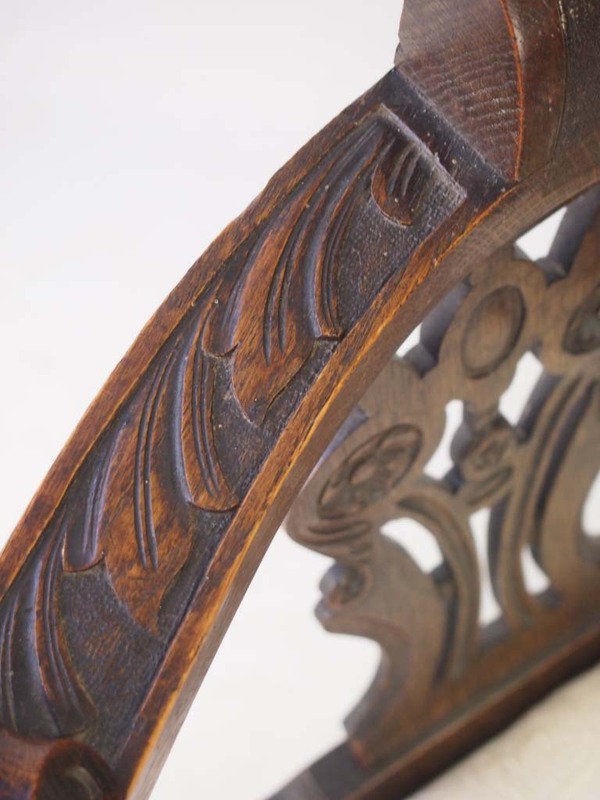 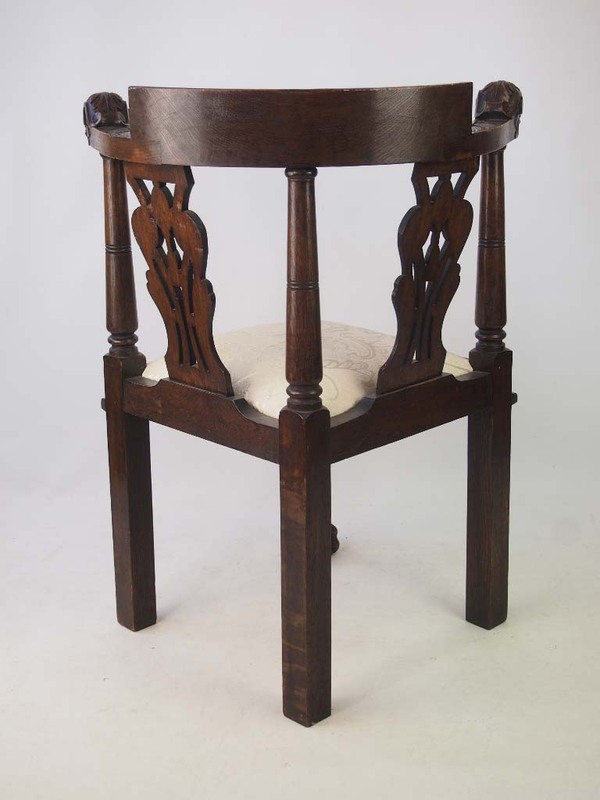 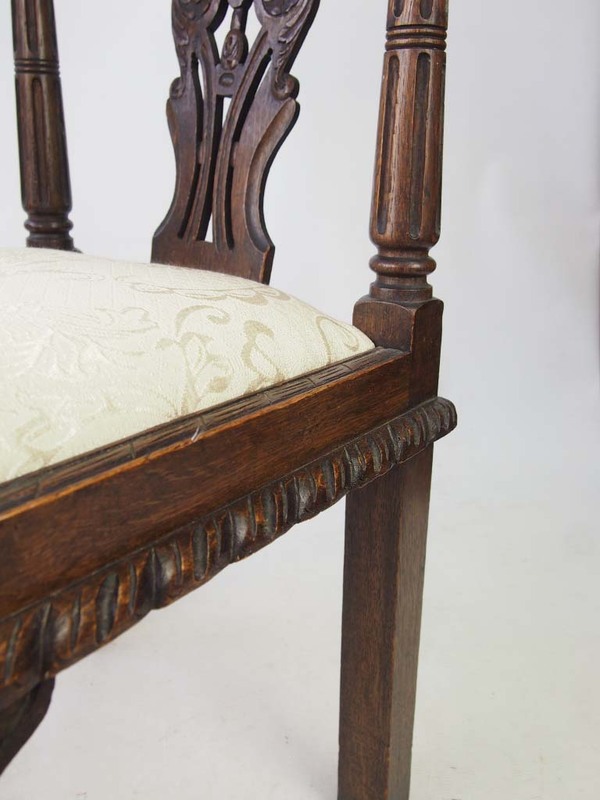 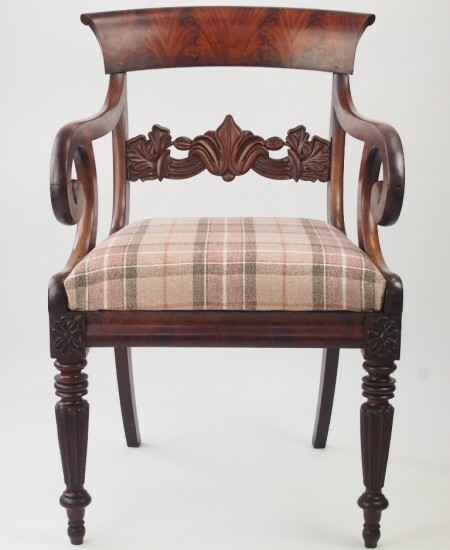 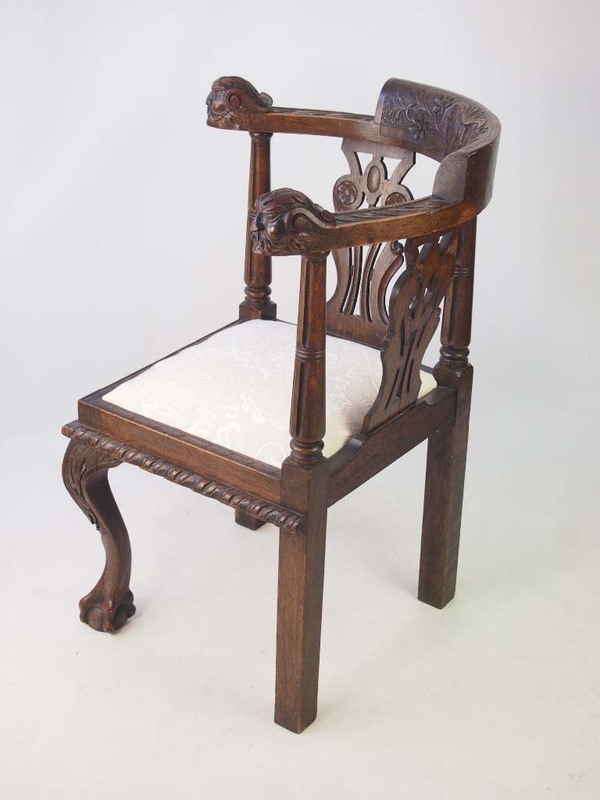 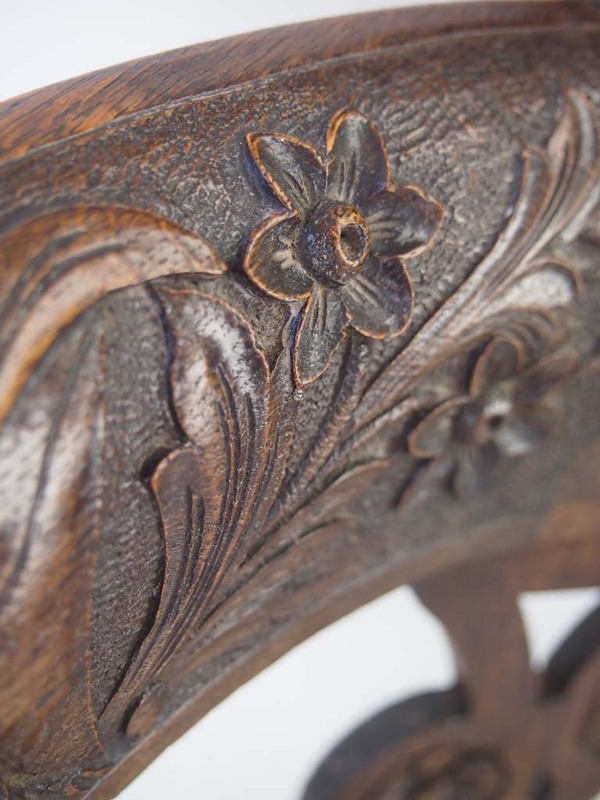 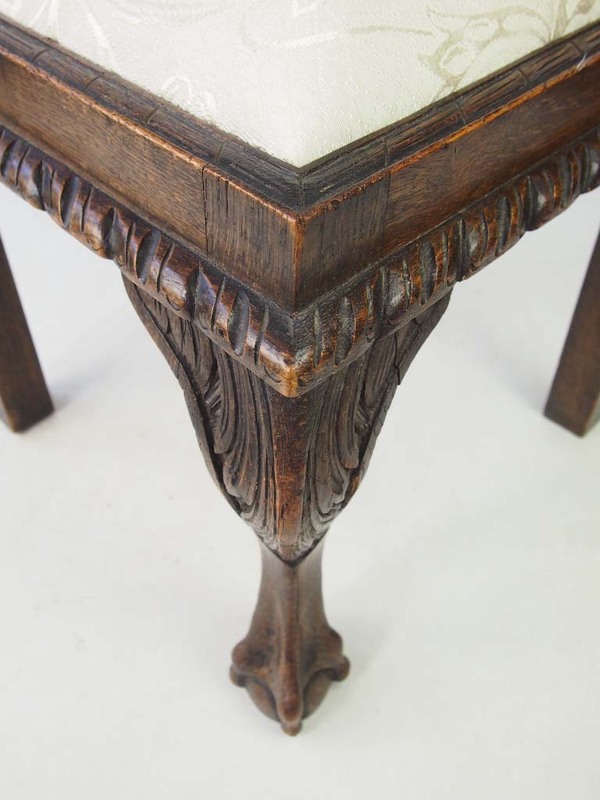 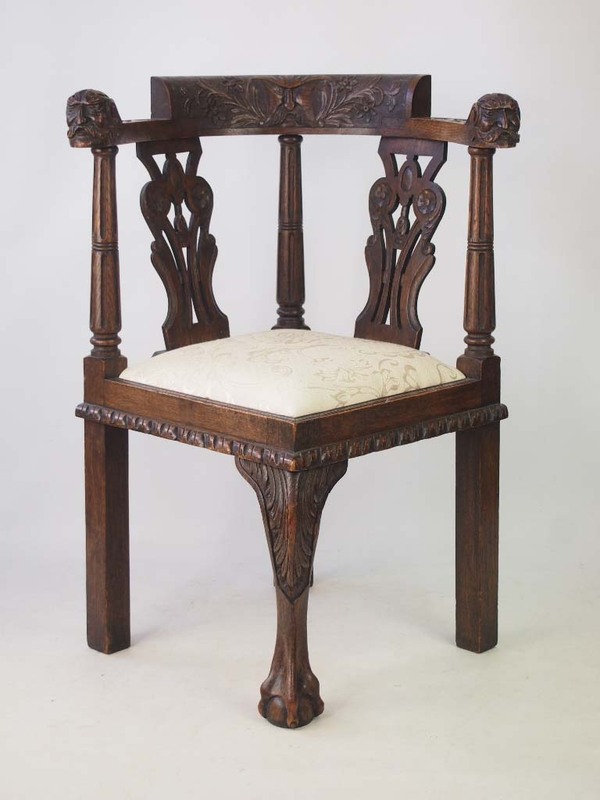 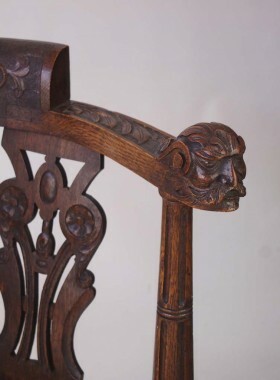 An unusual antique Victorian oak corner chair carved with moustachioed gentlemen to the back and arms. 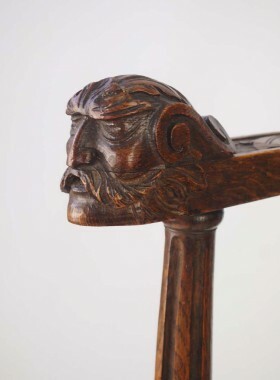 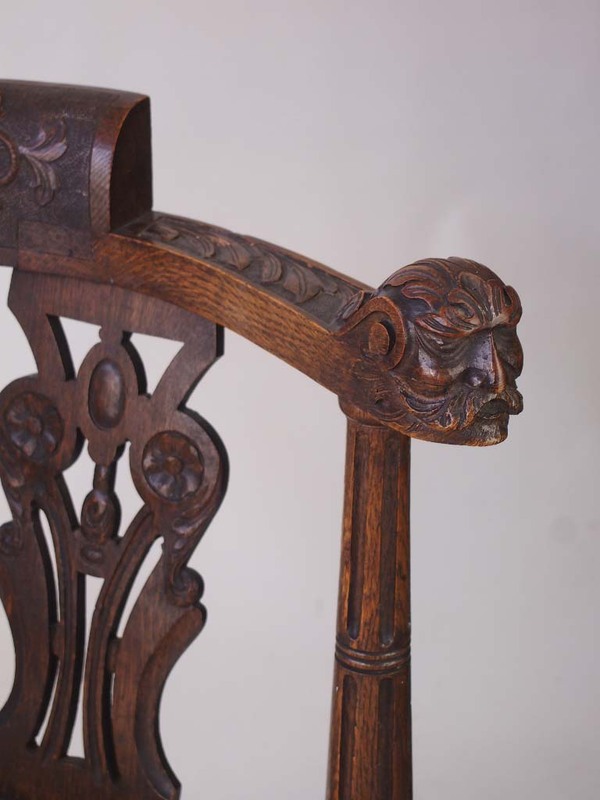 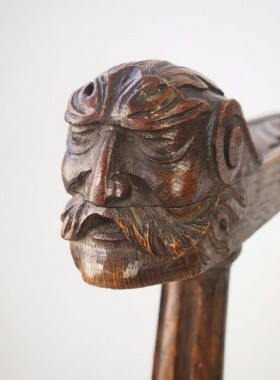 An unusual antique Victorian oak corner chair carved with moustachioed gentlemen to the back and arms and a green man to the top rail. 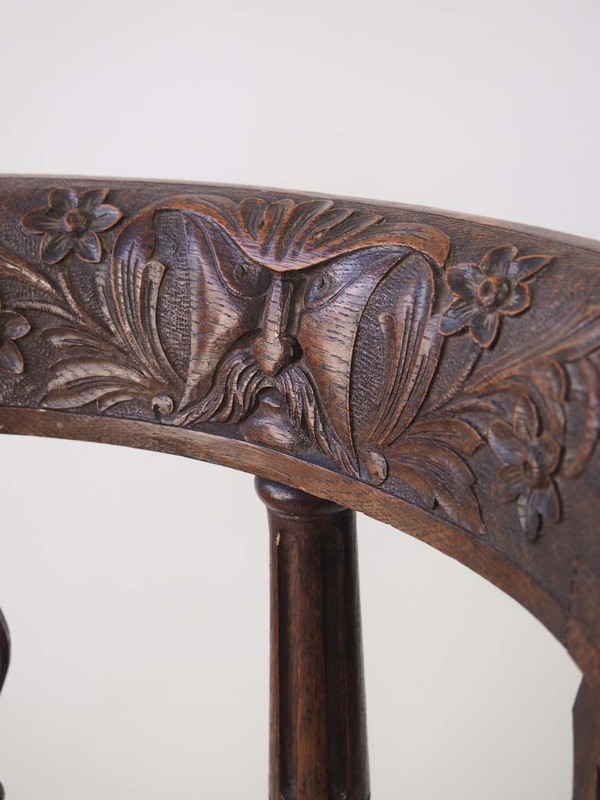 Carved throughout with flowers, leaves and scrolls, the twin pierced vase shaped splats are flanked by stop fluted spindles. 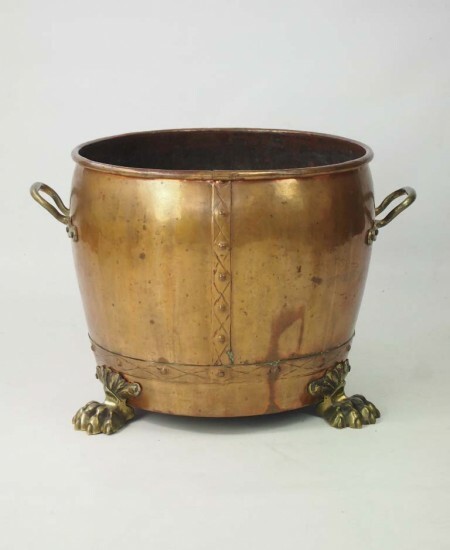 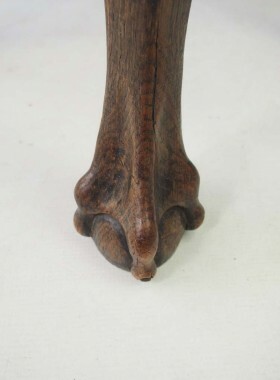 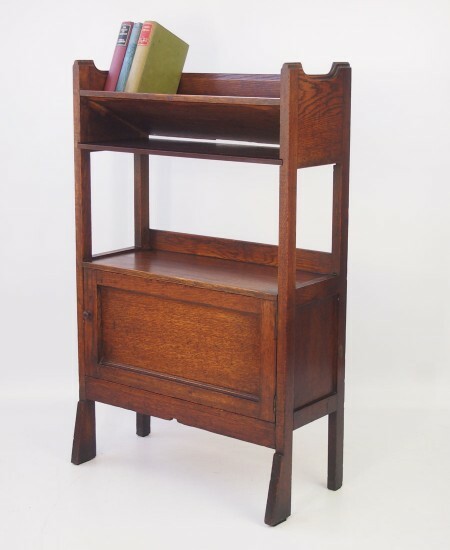 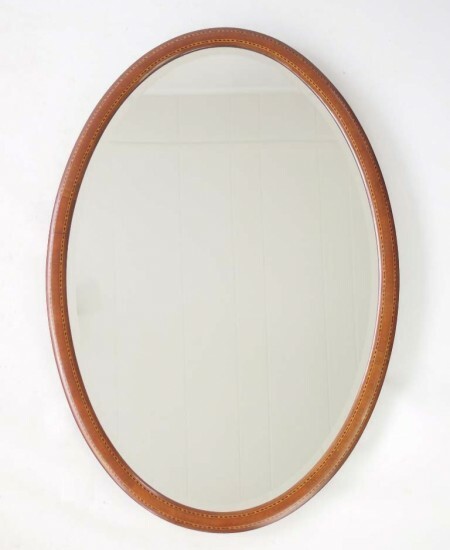 With square legs to the back and cabriole leg to the front which terminates in a ball and claw foot. 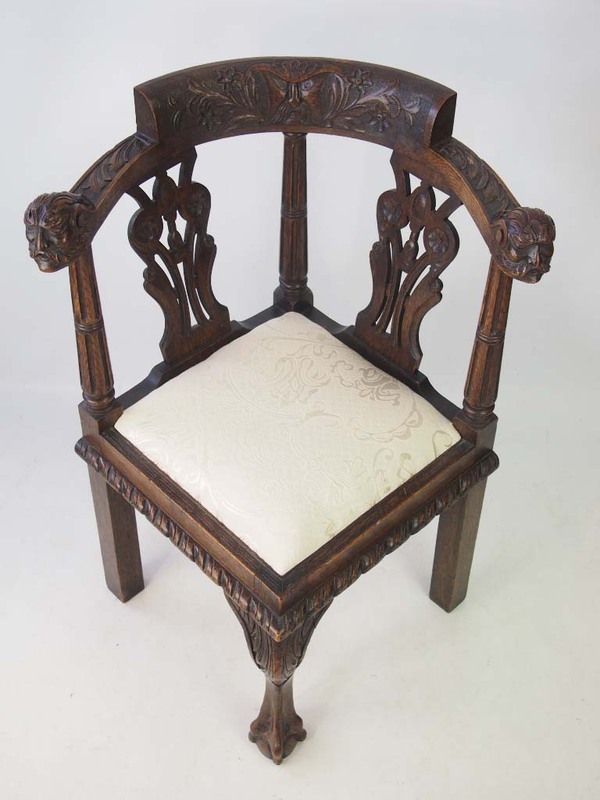 The seat has been newly upholstered in a cream brocade.